Perfect Christmas, Is There Such A Thing? Amid all the beautifully wrapped presents, wonderful food and stocking bulging with goodies, there is something missing. Perfection. I realized this year that so much of what we strive for during the holidays is a Hallmark Christmas complete with the a picture-perfect tree, beautifully wrapped gifts, blazing fires, hot chocolate and Clydesdale horses prancing through the snow. The reality is that no one has the perfect Christmas. We are so busy running around trying to complete all the added chores to our already overly scheduled list of things to get done that rarely do we have time to really enjoy the holidays or visit with those that truly matter to us. I worked until the Friday before Christmas which left little time to get my house or family ready for the holidays. It was a hectic time to say the least. Every year we rush off on Christmas morning to my parents house after the kids have barely unwrapped their Santa gifts and spend four hours in the car in route to my parents. It is not a Hallmark Christmas trip. Almost always someone is complaining because they are crowded in the car due to the packages or someone else forget something they wanted to bring. Everyone is tired and cranky. My husband and I are exhausted from the rigors of trying to complete the tasks at hand to make the holiday happen. After a long trip, we arrive at my parents house and once inside I totally forget about all the hustle and bustle it took to get there. I watch as the kids excitedly unwrap their gifts. I enjoy watching my parents play Santa to everyone. I see a room that has grown full of family and I am thankful. It is at that moment I realized Christmas isn't about the perfectly wrapped presents or getting that dream gift. 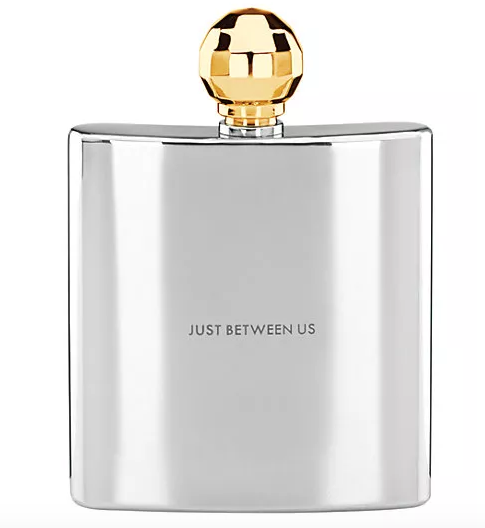 We already have the most important gifts which are the gifts of each other. Time spent with those we love. I got what I wanted and needed most for Christmas and it was time spent with family. It was perfect after all despite the lack of the picture-perfect Christmas we all envy on instagram. Today, I attended the funeral of my friend, Debbie's 17 year old. I listened to Tyler's dad share loving about his son. He said that Tyler was worried that he wouldn't have a legacy to leave on Earth, but as I looked around the room, I realized Tyler left a great legacy. He left us all with the desire to be better people, to spend time with those we love and to embrace life. It is so hard to understand why young people die but it isn't for us to understand. When I lost my own son at age 22, I struggled with the "why" of it all. There isn't a good answer for why things like this happen. Tyler's death resurged feelings of my own son's death. It is easy to get on with life and forget the promises you make but today I was reminded of those promises and plan to do better in 2016. I vow to be more present, to spend more time with my loved ones and to tell my loved ones I love them. Today, I got the surprise gift we all wish for at Christmas which was a renewed desire to live life to the fullest and to be grateful for what we have no matter our situation. Thank you, Tyler for reminding us the perfect gift isn't a gift others give to us, but rather a gift we give to others. The perfect gift lies within us. In giving our gift, we get the most precious gift in return. For it is the gift of giving to others which really brings us the most joy. I decided to go back and add this to my post because one of the comments made me think about what I had written. 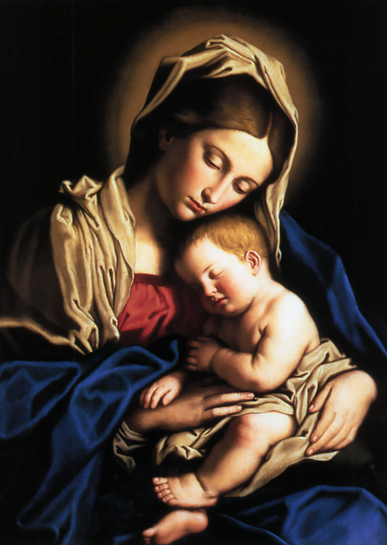 Our ultimate gift is God's gift of the Christ Child and the reason we truly celebrate Christmas! spent with family making memories. 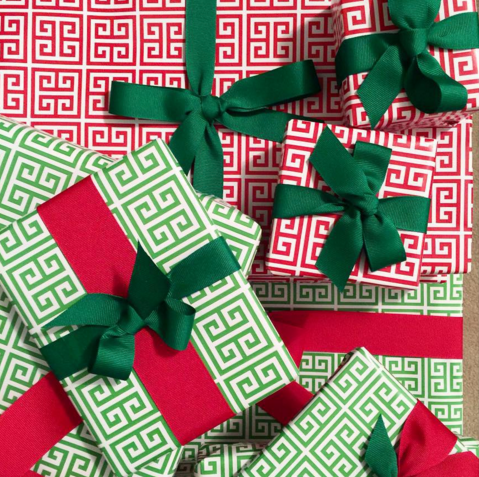 Sharing My Last Minute Secrets Goodies for Christmas To Pick Up in a Hurry! If you think I'm going to tell you where to buy these cookies you are going to be disappointed in this list, because I have no idea, I just thought it would grab your attention! I haven't had time to bake at all this Christmas. It has been hectic to say the least. 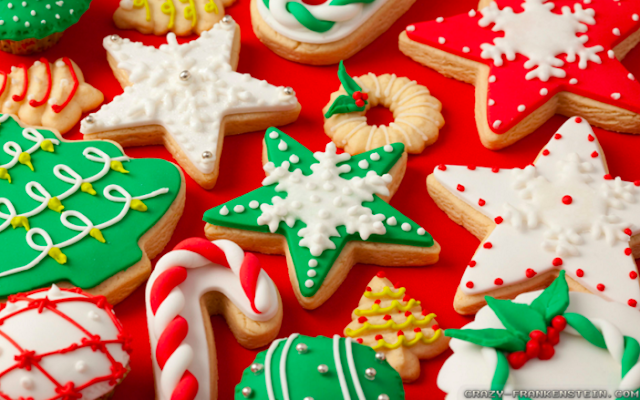 I plan to bake goodies the week after Christmas when we are home and enjoying the break. We are down to the wire and it's time to pull it altogether for tonight and tomorrow, so here is a last minute list of things I am running out to get to finish out the menu for tonight. I only have three places to go! If you decide to follow my lead, don't forget to take a cooler for the frozen items, if you are planning to run other errands while out. First off, I'm placing my order this morning for RuSan for sushi. Tomorrow we will have the customary Christmas dinner at my parents but tonight we will have pick up foods at my in-laws. It's a fun little tradition we started many years ago and our kids love it. My husband will pick up deli foods and I'll get the sushi. October and found images I took while in Huntington House Furniture. 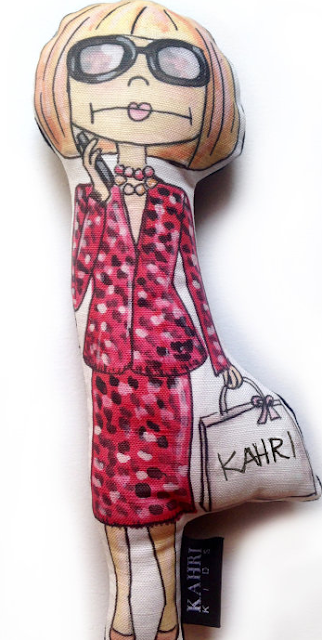 Kahri Iconic Tastemaker Dolls & A Giveaway! Why should kids have all the fun at Christmas? Today's post is bringing more fun for the adults. 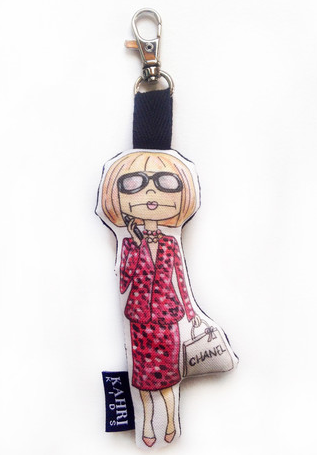 In particular, those of us who love style icons! 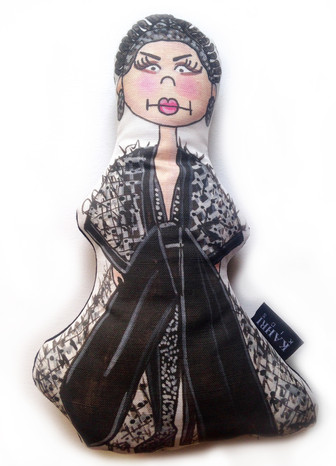 Meet Kahri by Kahrianne Kerr Tastemaker Dolls! 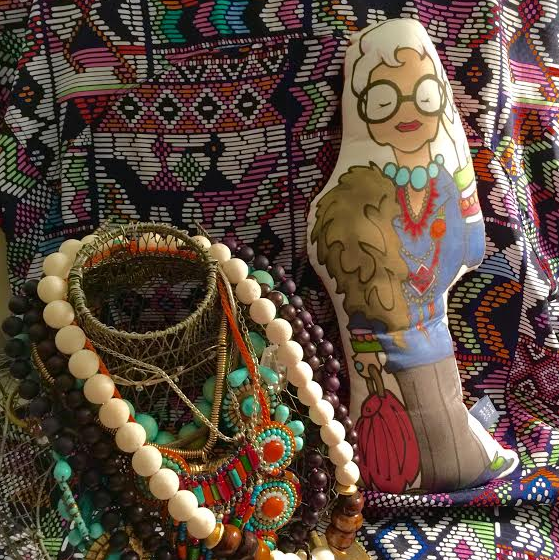 Choose your favorite tastemaker iconic doll and have fun. 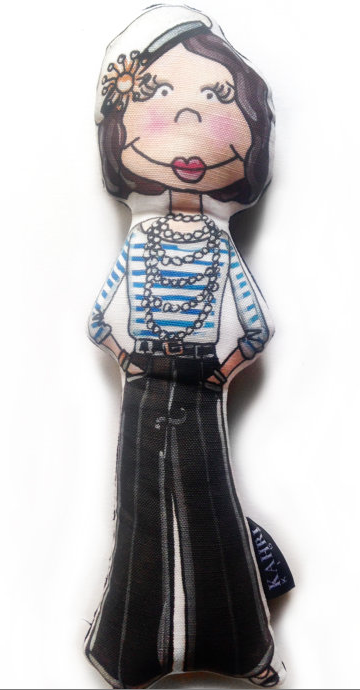 KahriAnne Kerr, who is the creator of these dolls, is a fashion designer by trade and is known for her hip, funky, rocker chic women's contemporary clothing line. Her products are sold in over 20 boutiques across the US, England, Scotland, Austria, Spain and Israel, as well as 30 online boutiques. Kahri decided to start producing the dolls as a fun sideline to her already successful designer clothing business. To read her full bio click here. I caught up with Kahri who agreed to a little Q and A! Enjoy! 1) How long have you been making dolls? I started making the dolls this past June. 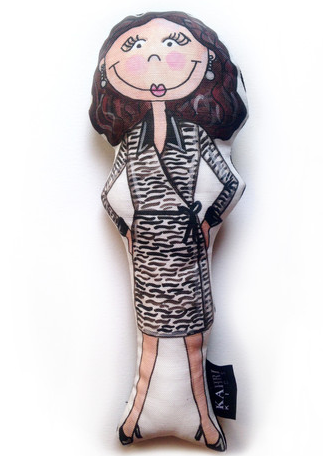 2) What prompted you to start making iconic tastemaker dolls? I'm not sure where I got the idea to make the illustrations into dolls. takes about 3-4 weeks. There isn't a minimum. from of a mix of the doll designs? No, but maybe I will now! 5) Do you sell prints? 6) Has anyone famous bought their own doll? 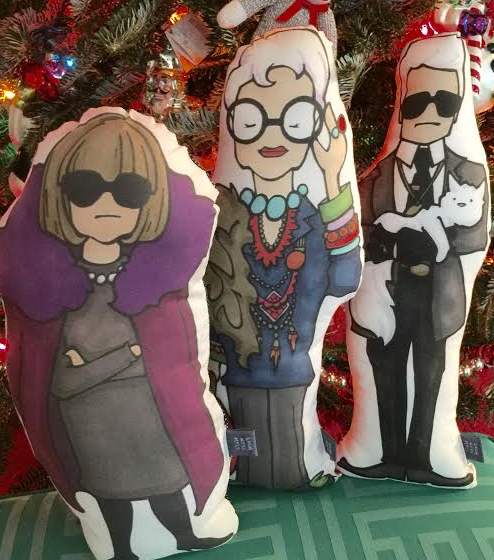 Bill Cunningham and Iris Apfel both have their dolls. 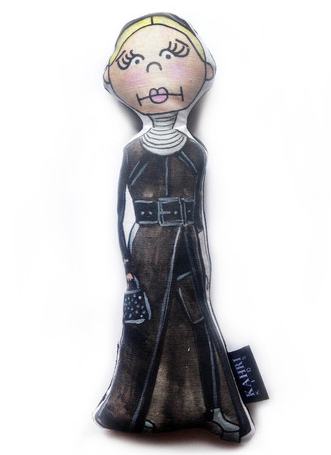 7) What is your best selling doll? your handbag, luggage or back pack. 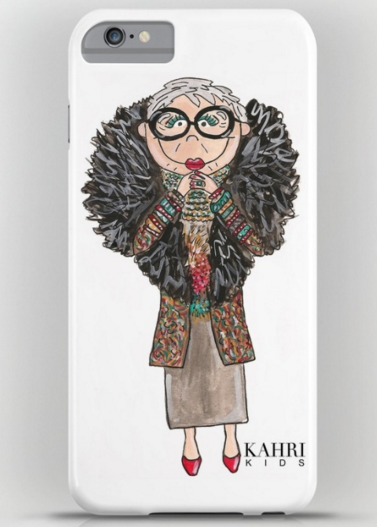 on iphone & ipod cases, tee shirts, prints, stationery and more! 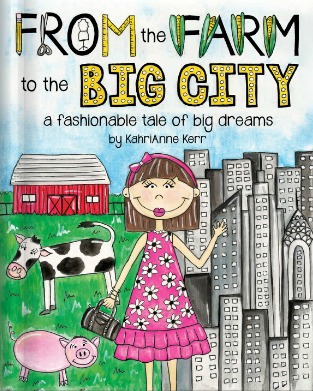 Kahrianne has also written and illustrated a book called "From the Farm to the Big City. 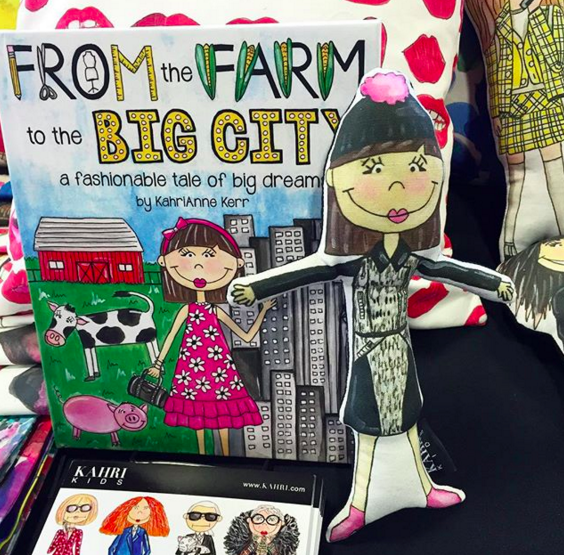 It's a true story about a small town Iowa girl turned NYC fashion designer. Get an unsigned copy of the Hardcover ($29.99) and Softcover ($14.99) book here! Get the Ebook ($9.99) for IPad Here! 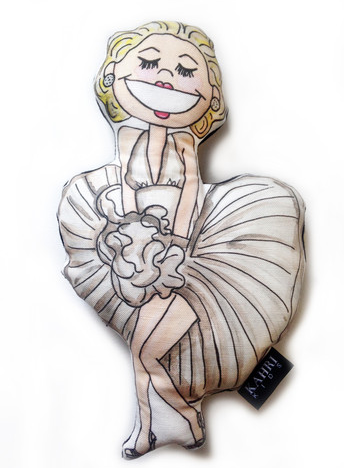 Also crazy for these bags she created! 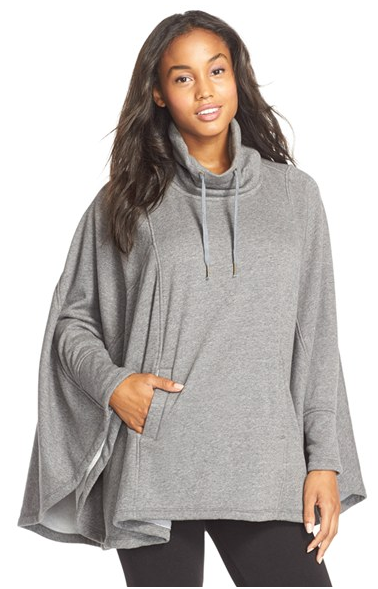 a gift card and let them pick the item of their choice! I have a little surprise for you today!!!! 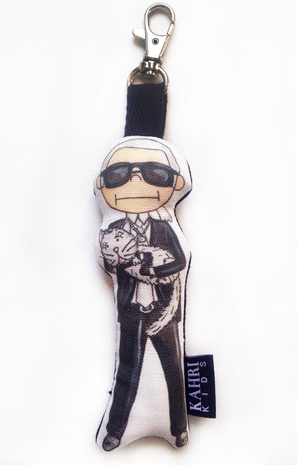 KARL LAGERFELD & CHOUPETTE DOLL!!!!! WINNER WILL BE ANNOUNCED TOMORROW AT 5 PM!!!! 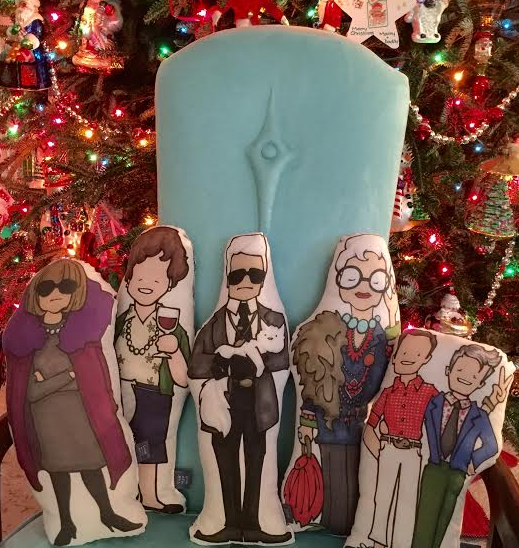 Designer Tastemaker Dolls and An Iris Apfel Giveaway!!!! I found these dolls a few weeks back and have had so much fun with them. They go with me to the studio, clients houses and have been out to lunch with friends. Ok, I admit, I never really got tired of playing with dolls as a child. I quit at age 12 when I felt shamed by friends. That's the truth! Anyway, I feel like I can have my fun, little designer sidekicks to hang that the studio. It's all in fun, right? 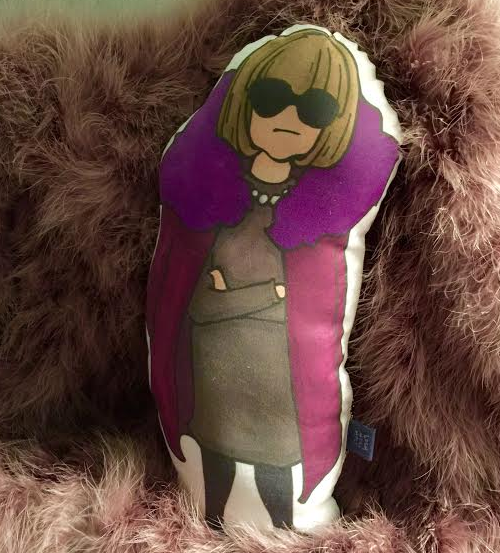 So who is the genius behind the Tastemaker Dolls? Loch Ness MPLS is the artwork of Brian Ness. He believes our belongings tell stories and wants to create objects that make our stories more interesting and happier. 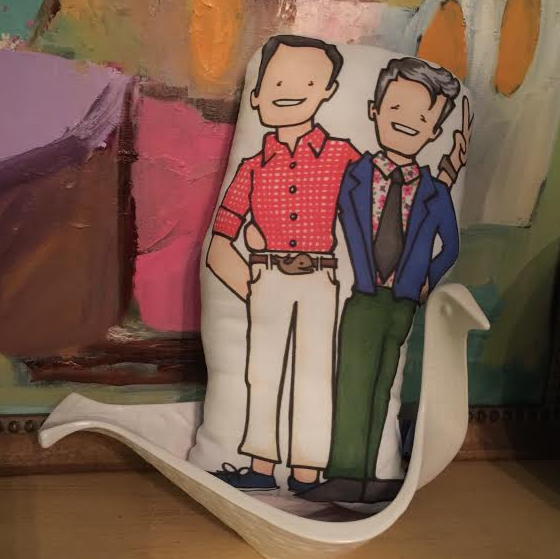 Influenced by children's book illustrations and the crafting skills he picked up from his grandmother, Brian wants to create livable, memorable and entertaining additions to people's homes. Brian lives in Minnesota with his husband, Jon and their two dogs, Neil and Stanley. I caught up with Brian, and he agreed to a little Q and A! Enjoy! 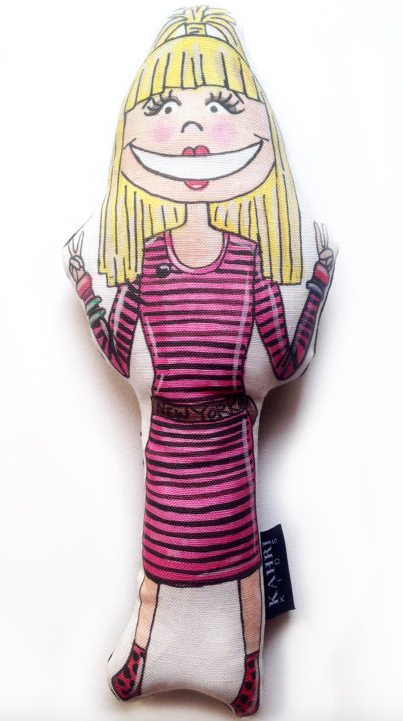 1) How long have you been doing dolls? 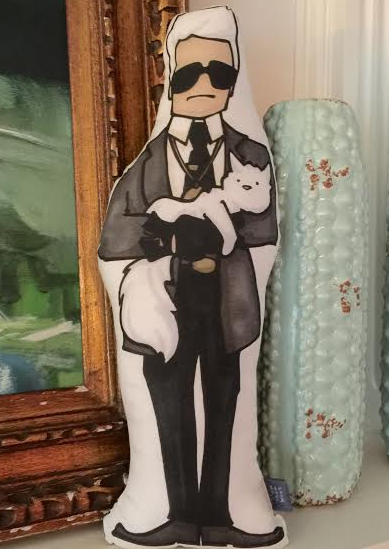 I have been creating plush characters since August of 2014. 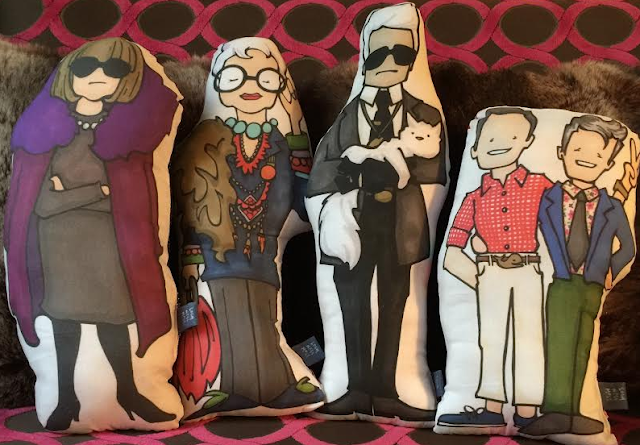 I started making my line of Legendary Tastemakers in February 2015. 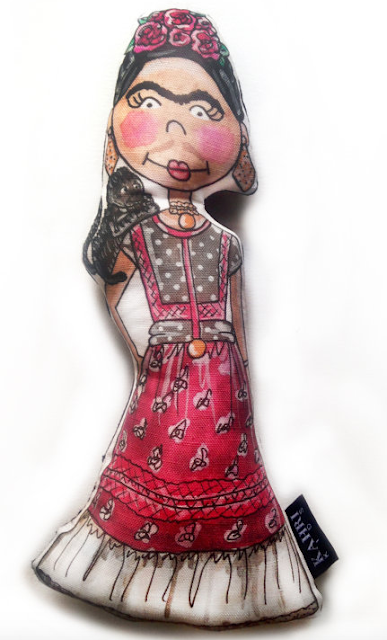 2) What prompted you to start making the Tastemaker Dolls? I have been interested in Tastemakers, influencers who shape our ideas of style and culture since my undergrad. I have also been interested in strong-willed individuals, and have drawn them over the years. 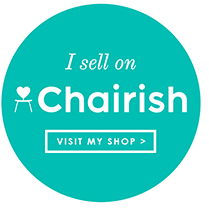 As I created my business, I thought celebrity tastemakers would be a good addition. 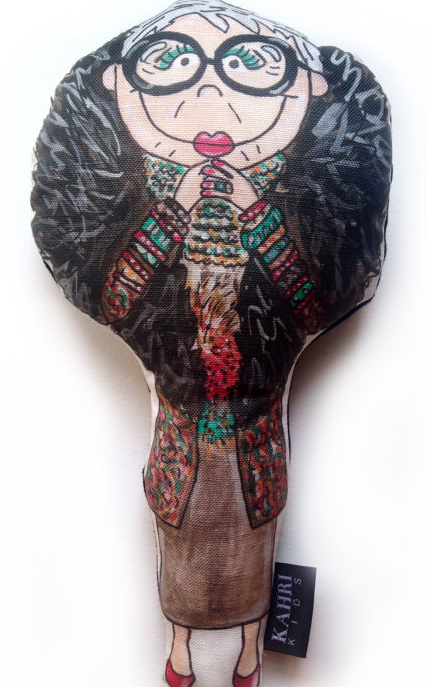 3) Have you ever thought about making wallpaper out of a mix of the doll designs? I haven't thought about wallpaper, but this is a brilliant idea! 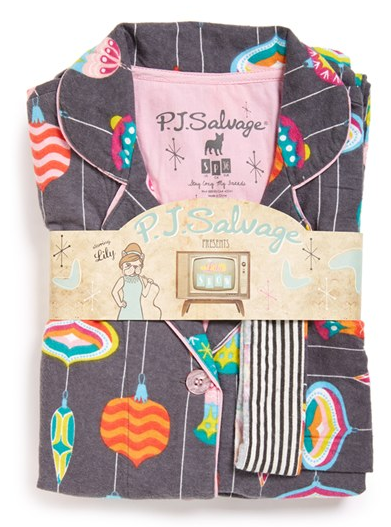 I had considered gift wrap but I haven't pursued this idea yet. 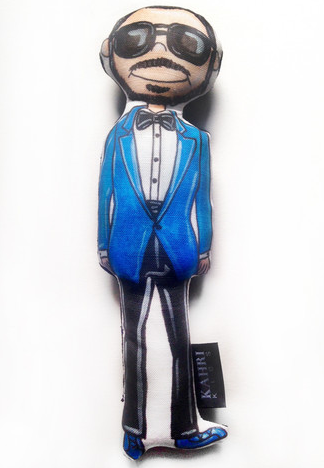 4) Do make custom dolls- What is the process and how expensive is it?How long does it take to get a custom doll and is there a minimum of pieces you must order? Custom orders are a possibility, for sure! 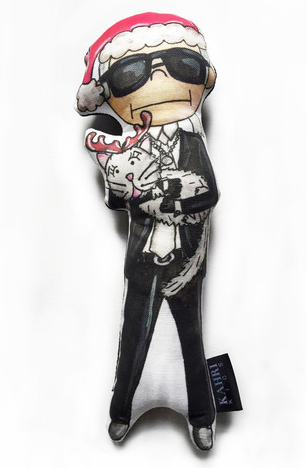 The first doll would be $100 and any additional doll of the same design would be $25 each. No order minimum. The process would take 4-6 weeks. 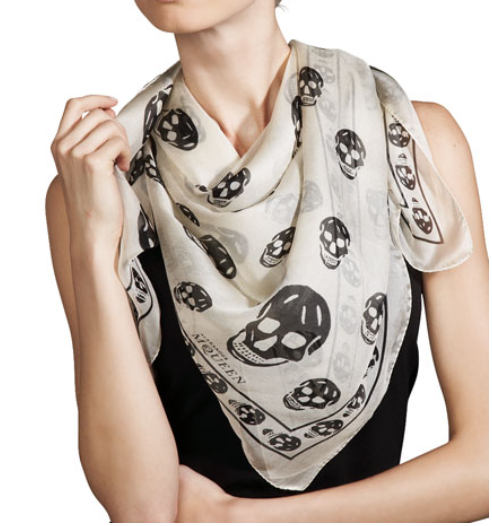 Photos would be required, and the illustration would be approved by the buyer before the fabric goes to print. 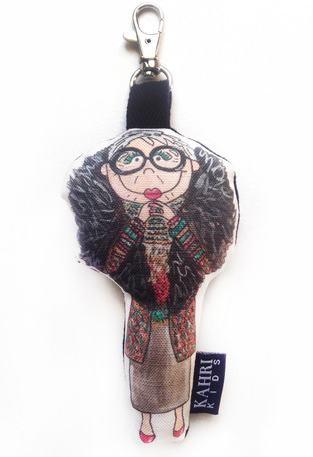 I currently have 1 print of Iris Apfel for sale. It's currently an 8x10. 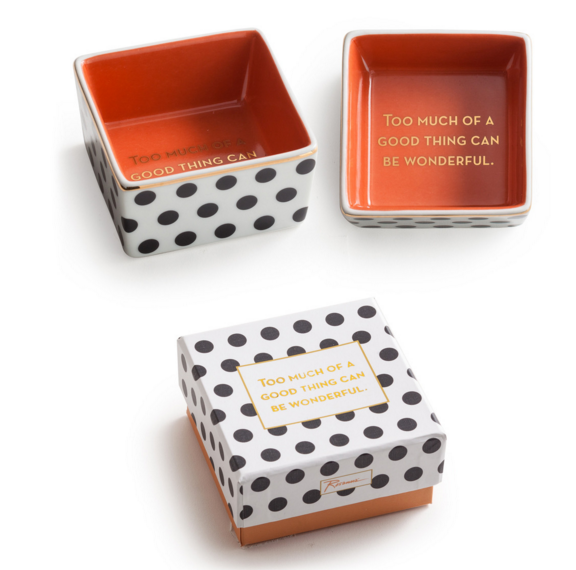 No, however Jonathan Adler tweeted about his! 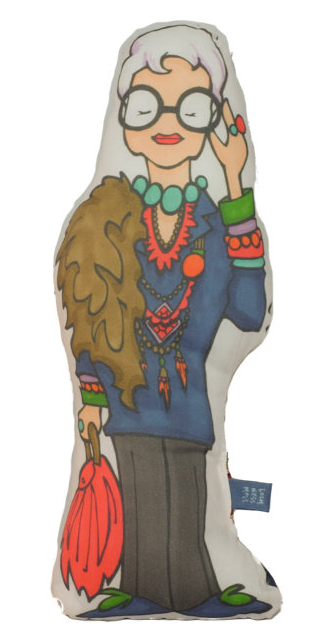 7) Which doll is the best seller? 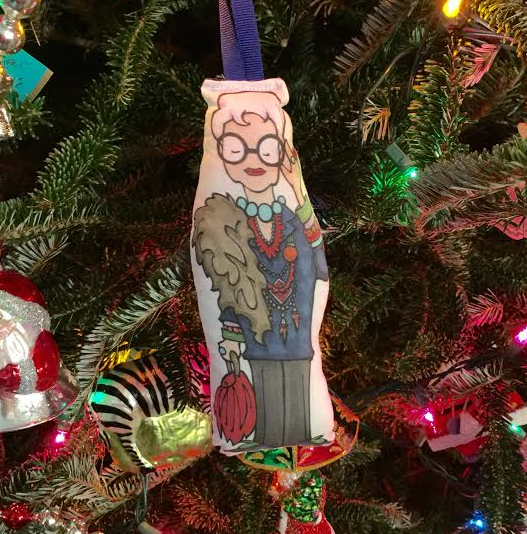 Iris Apfel ornament now adorns my tree. 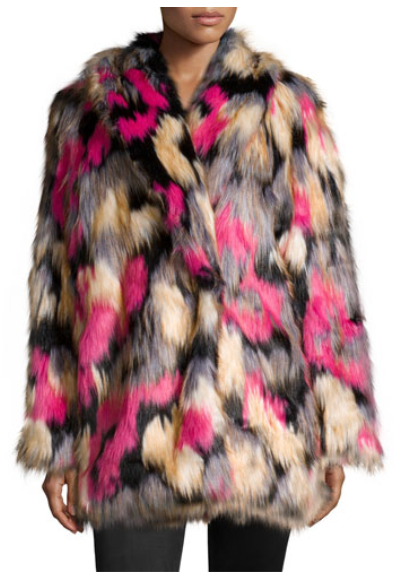 I don't' know a single soul who is in the fashion or design industry that doesn't idolize Iris. She is simply amazing! Iris insisted on helping me revamp my accessory collection. Little secret...she threw out more than she kept and advised me to layer, layer, layer like a good little fashionista. Karl and Choupette, his cat, decided he wanted to command the room so he took up a post on the mantle so he could critique each person's attire as they entered the room. Meanwhile, Anna was busy checking out the fashions. Jonathan and Simon were thrilled to find a piece from Jonathan's collection in the dining room but reported Santa needed to bring me a few more pieces to round out my collection. 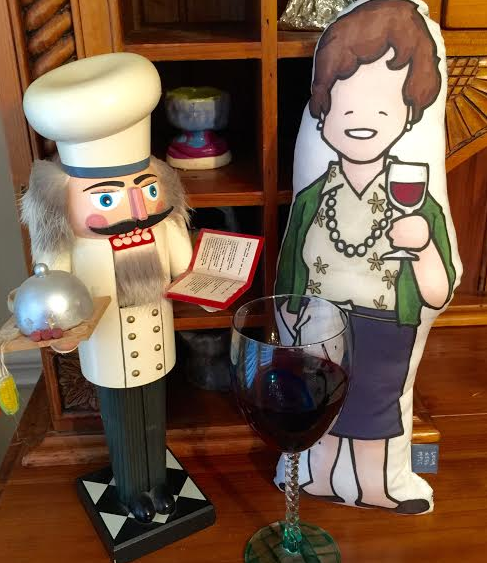 glass of wine with the nutcracker chef. Yes, that's right! 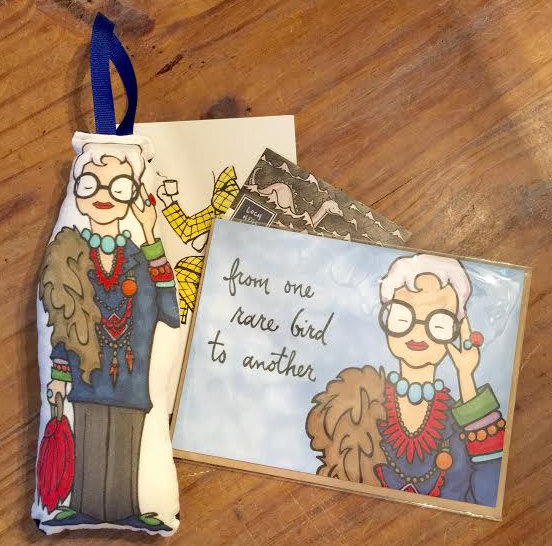 You might win Iris for your very own!!! Giveaway Rules for Entering The Iris Doll Giveaway!!! Leave a comment on my instagram post once it is up about the Iris Doll Giveaway, under the post, then tag three friends. If you would like to order your own doll(s) click here or click on the individual doll names above. until 5:00 you can enter to win Iris!!!!! Scheduled for of a similar nature!!!! Make sure to visit Brian's Etsy shop to see all his beautiful creations. He has coasters, notecards, and all kinds of cool things! Click here! Woohoo! Design Camp is almost upon us!!! I love Design Camp! Have you ever been? If you have you know what I'm talking about and if you haven't then shame on you! Not really, Just kidding, but now's your chance to attend a fun, fun event and learn so much to help grow your design business in 2016! 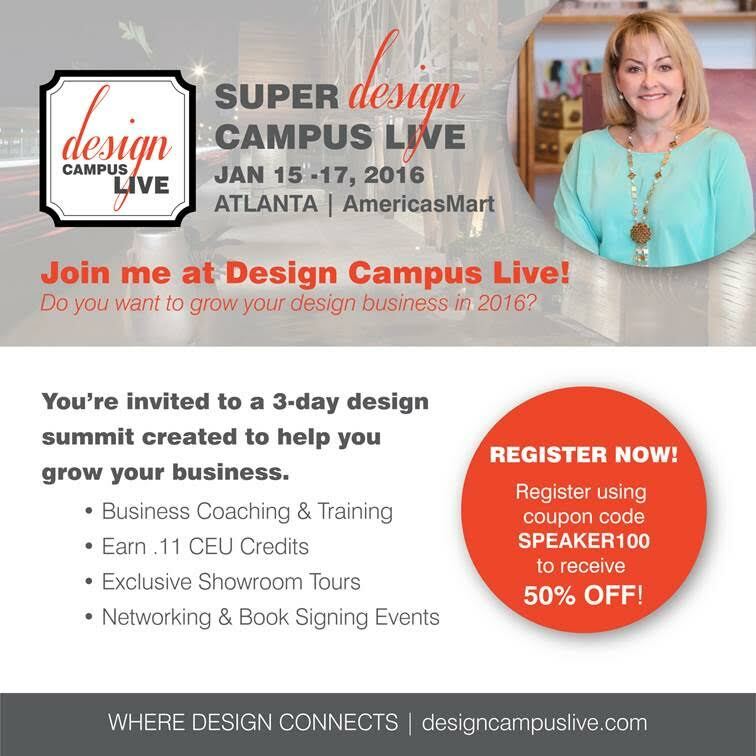 I am excited to announce I'm speaking at Design Camp Atlanta on a panel about "Designer Showhouses" with my fab studio partner, Traci Zeller, and wonderful friends, Lance Jackson, David Ecton of Parker Kennedy and amazing Design Camp co-founder, Lori Dennis. Vanessa Kogevinas will be the moderator. Our panel is on Saturday, at 3pm! Would love to meet you at Camp! Here's a little Gift from Me to You!!!! Click Here to Register! When registering make sure you use code Speaker 100 to receive 50%OFF the overall cost of Camp! 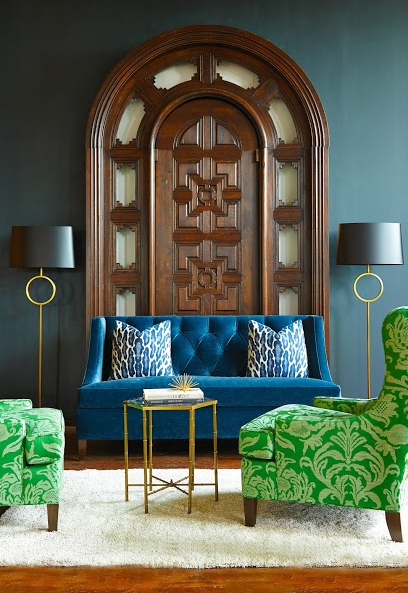 Furniture Collection with Tritter Feefer Home Collection. Recently celebrating her 30th birthday, this young designer has already accomplished more in the design world than designers twice her age. River's proudly claims her southern upbringing as the foundation for her classic, timeless design where charm and elegance serve as keynotes. 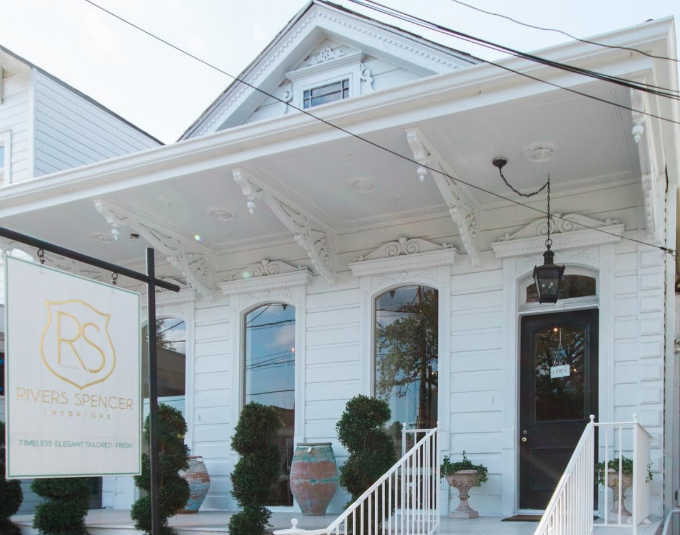 One visit to this design maven's website will reveal a designer with talent, ambition and love for history and fine art. 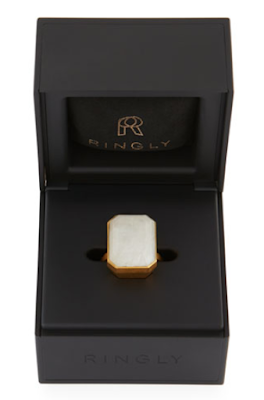 Here are some great gift ideas you can order online which are guaranteed to make someone happy. 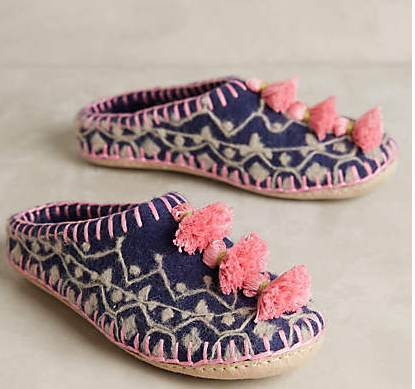 Tasseled slippers $58 available in several colors! 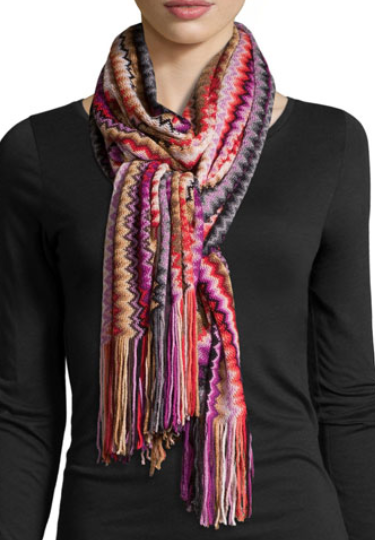 Hope this gives you some ideas to ponder for the ladies on your list!